Why can't people just leave their cars alone? You, car people of the world, have a responsibility. To teach your children what’s important about being a gearhead. Modifying cars is a practice as old as the car itself. And yet it seems as though while cars have gotten progressively better, the things their owners do to them have gotten progressively worse. It’s easy to point fingers at certain Hollywood franchises that feature professionally modified cars performing acts of heroism on the silver screen. Hollywood isn’t to blame though, ignorance is. Ignorance is the reason for these ten cars, and so many more like them. Is That A Dodge Vipe… Yes. Yes that is a Dodge Viper clothed in many unsightly layers of what appears to be a completely custom body kit, for which the word hideous doesn’t even begin to do justice. 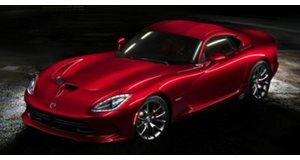 Whether you like American cars or not, the first-gen Viper is something of a timeless design. Dodge isn’t making these anymore, show a little respect, people! 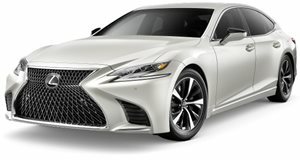 Good Thing Lexus Is A Friendly Company The high-class Lexus LS is a properly luxurious, comfortable and reliable car, or it was. Maybe this owner is just ahead of the curve, ratty muscle cars are suddenly in, maybe ratty import luxury is next…but we doubt it. RIMS! 2001 called, they want their obnoxiously oversized wheels that must make the ride in this thing like an absolute buckboard back. The Leaf That Sprouted Roots The fact that some actually put the effort in to add an entire center section to their Nissan Leaf is actually quite impressive, until you realize just what an awful job they did. It’s not only completely over-complicated, but stupid too. 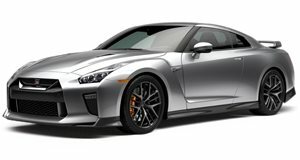 How To Ruin A Nissan GT-R Say what you will about the GTRs size issue, or the fact that it sits a little high up, it’s still an iconic car. Where does one even find a wing like this? GTIntersteller GTIs are great cars, they’ve won Car & Driver 10 Best awards many times over. They are, however, cars. They are not vehicles intended for space travel. Honestly, how are you even supposed to enjoy a car like this with so many parts aching to fall off? The Snake Skin Isn’t On The Seats You know an owner is committed if they’re willing to go the distance with an otherwise great car. The subject in this case appears to be a Mercedes-Benz E-Class. This is something you would feel special rolling up in, that is if it weren’t draped in a full-body snake-appearance paint job. BMW Z4 With Yak Bone Wings That’s right, this Z4 draws its power from the spirit of the mighty Yak! If ever there was a car that was so bad it came back around to good, this is it. 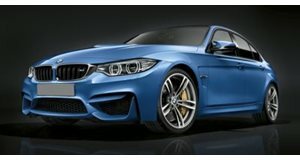 We’re guessing, however, that the considerable weight of the bone body kit probably hinders the car's performance. Jager Bombs! Understated enthusiast-special e30 BMW? Check. Classic Jagermeister livery in bright orange paint? Check. Garish home-made aero-kit complete with over-fenders and an obnoxious rear wing. Dammit, check. Your Wrangling Days are Over We’ve all seen street trucks, they’re not for everyone, but they can work. A Wrangler, however, isn’t a truck, it’s about the most dedicated off-road vehicle around. Until you lower it, then it’s just a waste.